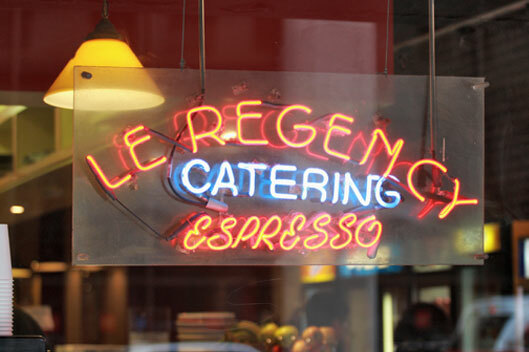 Since 1977, Le Regency Deli has been rated one of San Francisco's best delis. Located in the Financial District, the Delicatessen serves New York-style sandwiches, made to order with large portions. The deli menu features cooked breakfasts, gourmet sandwiches, soups and salads, all prepared daily. The deli caters to businesses in the Financial District and nearby areas. Call for your deli catering needs! I have been a patron of The Regency for over 20 years. During that time, Paul and his staff have ALWAYS been courteous, appreciative of my business, and consistent with the high quality food they serve. 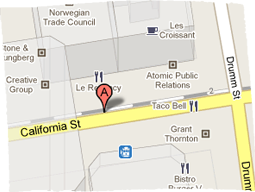 Their soup selections are the best in the financial district!